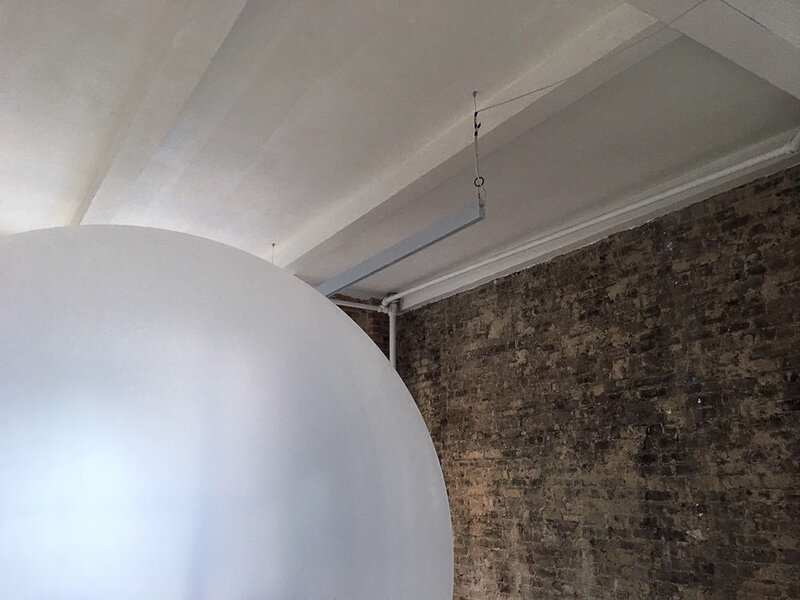 The art collective YQP consists of Florian Dohmann, Manuel Urbanke and Maximilian Hoch. In their work the group reflects on topics of our time and blends technology with interactive storytelling. Political and philosophical issues such as the value of labor, digital privacy and artificial intelligence are subjects of their art experiments. Their work has been featured in the most influential contemporary museums in Germany and has sparked nationwide discussions. Being an investor today is tough business: Crypto currencies drop, startups fail, real estate prices fluctuate. There is no investment strategy out there that gives you 100% certainty over your money. Until now. The Bubble will turn all your money into thin air: Guaranteed. Get ready for the most transparent and honest investment opportunity today. Starting early 2019 YQP enables you to directly invest your hard earned money in The Bubble. We will accept all major currencies, checks and credit cards as well as Crypto. Save up now to blow it all up in 2019. Artificial Intelligence is on the upswing of humanity. Already now machines are capable of executing most human tasks. This relentless progress of A.I. is widely considered fatal for the human race. The art project Unfinished is the attempt to change the negative perception on A.I. It's the first time artificial intelligence is used to inspire, challenge and provoke a real painter. Our art collective YQP and the painter Roman Lipski created the first Artificial Muse in the art world. The development goes on. In collaboration with the Berlin based AI Company Birds on Mars Roman Lipski further enhances his artificial muse. The Artificial Muse is an A.I.-system that is constantly trained with paintings by Roman Lipski. The system is able to extract different facets from his paintings – such as colors, contrasts, forms, composition – and interprets them in new ways. The result is an Artificial Muse that independently produces an infinite amount of digital paintings with Lipski’s style. These digital painting by the Artificial Muse inspire Lipski for his work – sharpening his eyes for new compositions and perspectives as well as helping him to form a new artistic language. The first chapter of the project took place in 2017 at the Tech Open Air Festival in Berlin, where the first collaboration between painter and Artificial Muse was exhibited. For over two years now every new painting by Lipksi was ingested into the A.I.-system, prompting The Artificial Muse to produce new inspiration for Lipski. The ongoing exchange between Lipski and The Artificial Muse helped the painter to form a completely new creative language and style. Unfinished is widely considered a cornerstone project in the landscape of digital arts and has ben exhibited in museum such the Futurium in Berlin, among others. Unfinished 1 was exhibited at Tech Open Air 2016 in Berlin. Visitors could see the artificial muse working and printing art pieces. A selection of art pieces created by the muse that give Roman Lipski a chance to have a totally different perspective on his work. At the end the muse created over 200 individual printouts. They serve Roman Lipski as inspiration for the second iteration of paintings. The paintings below are already inspired by the artificial muse. New colors and shapes show that the dialog between artist and machine is fruitful. The style of the paintings evolves as the dialog between painter and artificial muse continues. Initial muse inspired by paper "A neural algorithm of artistic style", based on 19 layer VGG NET and JcJohnson Implementation, now experimenting with many different approaches, networks and technologies. The entire project gets documented by Hannes M. Meier. The 15 minute long documentary will be extended throughout the collaboration. How? By letting everyone do a unifying task. We gave our 50 participants one hour to paint a completely black art piece. All paintings looked similar but had one great difference: the price tag. We sold every painting for the hourly wage of the person – ranging from 4$ (cleaning lady) to 500$ (investment banker). We also filmed the one-hour-process of painting to see how every single one of them approached the task. Watch the short documentary below. What is the value of data? Data is money: big firms make millions of dollars by using and selling our personal data from Facebook and co. This opaque business with privacy inspired the artist trio YQP to develop a much fairer business model that showcases the daily deals with our data. In their art experiment they’ve pictured a visionary marketplace where everyone can spend their data like money. Welcome to Datenmarkt; the first supermarket where customers paid with their personal Facebook data. In February 2014 the Datenmarkt opened in Hamburg for an entire week. The store was designed like a regular supermarket except for one great distinction: the price tags. In the Datenmarkt a toast was sold for eight Facebook likes, a can of fruits cost five Facebook photos and dumplings only five personal messages. "After RTL reported about Datenmarkt people came from across town to shop. they THOUGHT IT'S A REAL SUPERMARKET." Customers paid through an installed iPad at the register. By typing in the Facebook account name and password, a custom-built app analyzed the Facebook profile and checked if enough personal data was available. If so a printed receipt revealed the actual photos, messages, likes and comments that were selected for the purchase. Datenmarkt was initially designed as an art experiment but thanks to Germany’s deceptive media coverage the fictional supermarket was later conceived as a commercially driven business. The media attracted customers from all over Hamburg and proved that the Datenmarkt was more than a utopian vision of the future. Today the first companies already implemented similar systems and let people pay with their personal data. The receipt. On this "art piece" Datenmarkt customers saw what private data was used in order to pay for their groceries. Datenmarkt was part of Ars Electronica Human Factor 2016 in Berlin. New project “THE Bubble” coming soon.